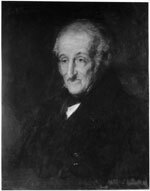 The first working electrical telegraph system was built by English inventor Francis Ronalds in 1816 at 26 Upper Mall in Hammersmith, London . 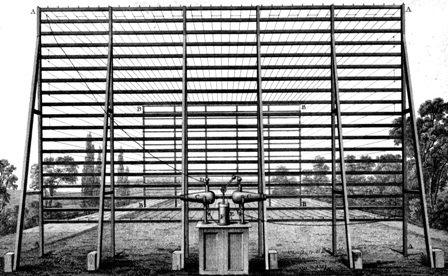 He laid eight miles of wire insulated in glass tubing in his garden and connected both ends to two clocks marked with the letters of the alphabet. Static electrical impulses were sent along the wire were used to transmit messages. To communicate messages Ronalds had made two identical clock-like machines, each with a moving index or hand, with the alphabet engraved around the dial. The device was a modern wonder at the time. He attempted to interest the Admiralty in this device but after the Napoleonic wars there was little enthusiasm. Charles Wheatstone was born in Barnwood, Gloucestershire, he was a curious fifteen-year old. His uncle from London took him to view the telegraph in Mr Ronalds' garden. 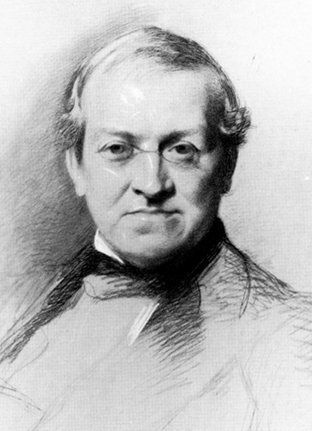 Charles Wheatstone was one of the outstanding academics of the 19th Century. He worked in his fathers music shop in Gloucester then in London developing musical instruments. His experiments with sound led him to coin the term 'telephone' and 'microphone'. 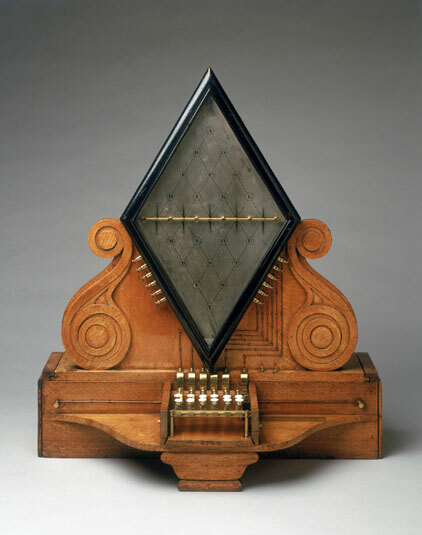 In May 1837 the first commercial electrical telegraph, the Cooke and Wheatstone telegraph, was co-developed and patented by William Fothergill Cooke and Charles Wheatstone. It was beautifully simple using electromagnetism to turn five needles left or right to point to letters. This meant anyone could read the message being sent, no need for anyone to be trained in understanding codes, like the Morse system. On learning of this first electrical telegraph success from the newspapers in New York, S F B Morse, a painter and electrical experimenter, sailed to Liverpool in May 1838 to see how the Cooke Wheatstone Telegraph worked. Morse was wanting to patent his own simple telegraphic apparatus in Europe. He could see that this system needed a 5 core cable which would prove too expensive for the distances involved in the USA. The success of the Cooke Wheatstone Telegraph led to the laying of the trans-atlantic cable to connect the Canada with Britain.